I made cookies for a friend's birthday and a camping themed birthday cake this week. I wish I had done the cookies a bit differently but that's what happens when I start something without a real game plan. Hope you all had a great week & I look forward to seeing what you've all been up to! 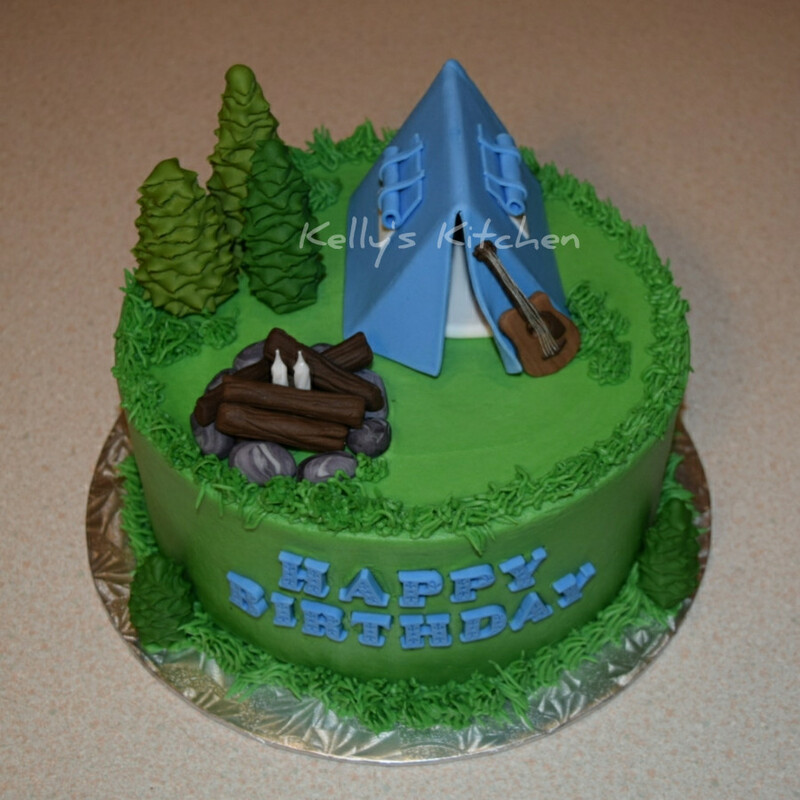 Camping themed cake where they also wanted guitar/music incorporated. Not at all to scale but they were happy with it. Hi! I come on Cake Central now and then for advice, and finally I can post a cake! I probably make only 3 or 4 cakes a year, and all of them are for my family. The cake I attempted recently was very challenging for me, a pirate ship cake, for my 3 year old Jenna who was turning 4. It was my first sculpted cake. It used techniques I'd never tried (wood painting). It challenged me greatly with trying to get everything the right ratio. Gravity proved to be my biggest enemy. Most of all, I had to be careful with my time, working part-time and managing my 3 young kids, so I tried to prep things during the day between school drop off and pick up. I'm really happy with how it worked out, but I'm not sure if I'd attempt something like this again. I mean, what sane person would do this for their 4 year old? What was I thinking lol! 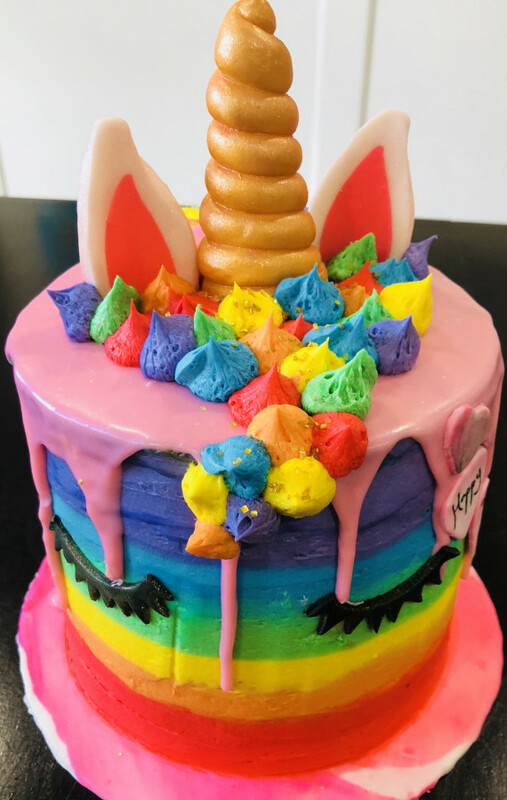 My husband broke his leg in 4 places the week before my daughter Jenna's birthday party, so I also had to handle a party for 20 kids and finish this cake, as my husband couldn't even carry a coffee cup. What can I say: it was a miracle that I pulled this off. 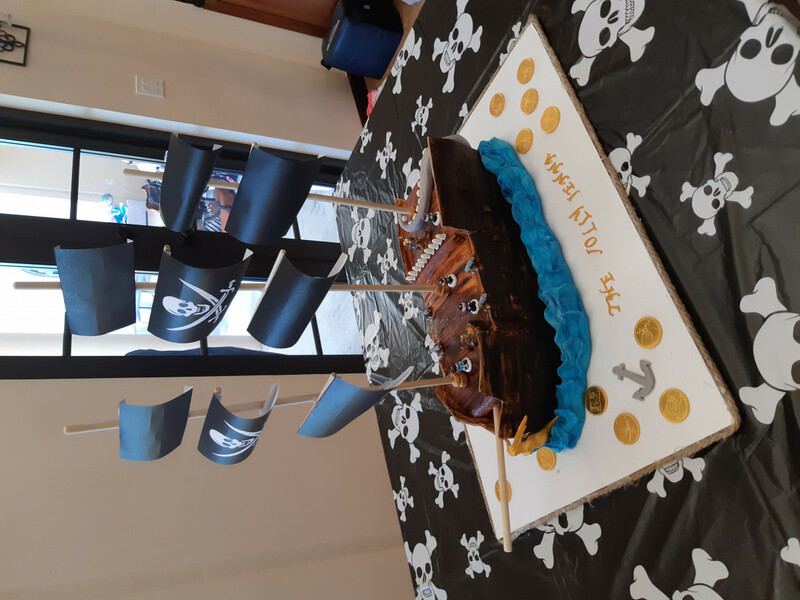 * I made a cardboard cake shaped like a pirate ship a month before the party, and prepped a lot of fondant elements using the cardboard cake. This was successful because the elements were in scale to the ship and each other. I could also dry elements (like the gold figurehead mermaid) with the right angle by drying them on the cardboard ship in preparation for their actual placement on the actual cake. 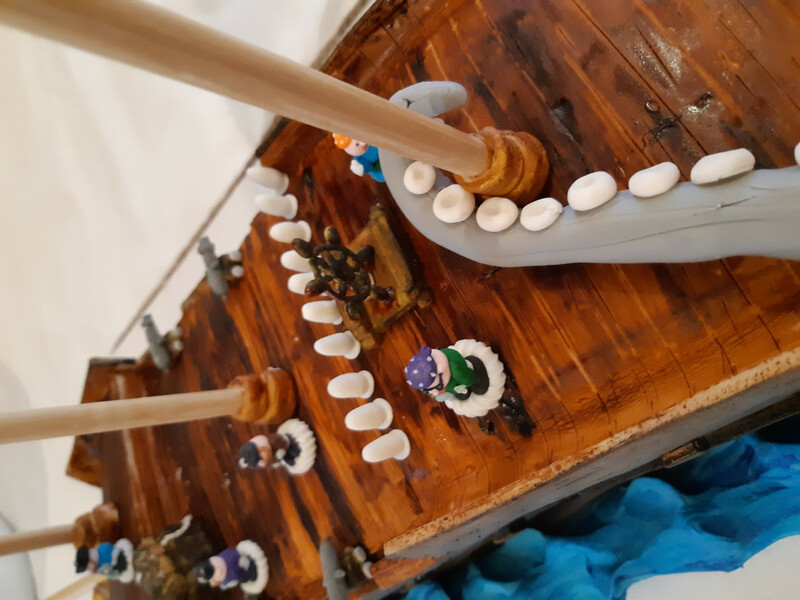 For the actual party, the ship was made from cake (just had to clarify that lol). * I ordered Old Gold Roxy & Rich gold color, and it was a lovely rich color (thanks to a post on here recommending that brand). *I ordered royal icing pirates for $1.99 from Sugarcraft, taking a chance on their size, and they looked good and in scale. *I ordered gold coins from foiledagainchocolate.com, and not only did they make a great giveaway at Jenna's pirate party, but they really "made" the cake board. I just placed them around the cake. (By the way, their chocolate is even better than their customer service). *I glued rope around the cake board using a glue-gun. It was easy and looked great! 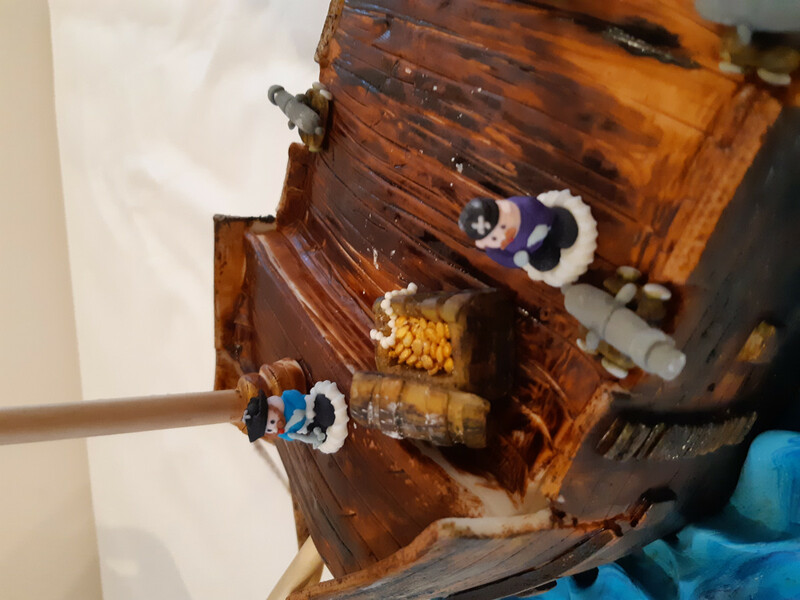 *I closely followed a website post I found about how someone made a pirate ship cake and it saved me heaps of time (www.cake-lab.org). *I pre-made the sides of the ship, including painting them in the wood-like effect, and froze them. 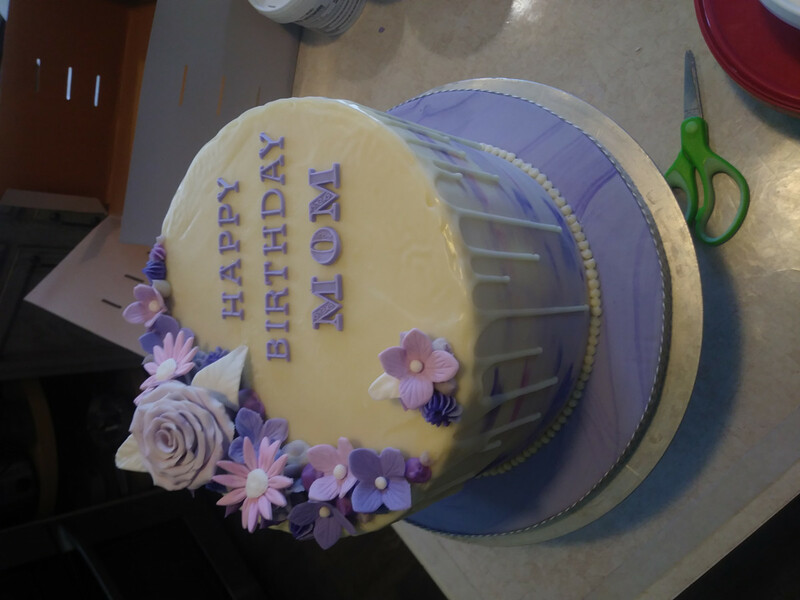 With the exception of a few cracks, I was able to just place the sides onto my cake on the morning of the party, semi-frozen. The sides probably took me maybe 3-5 hours to make (I didn't time myself), so I really saved a bunch of time. 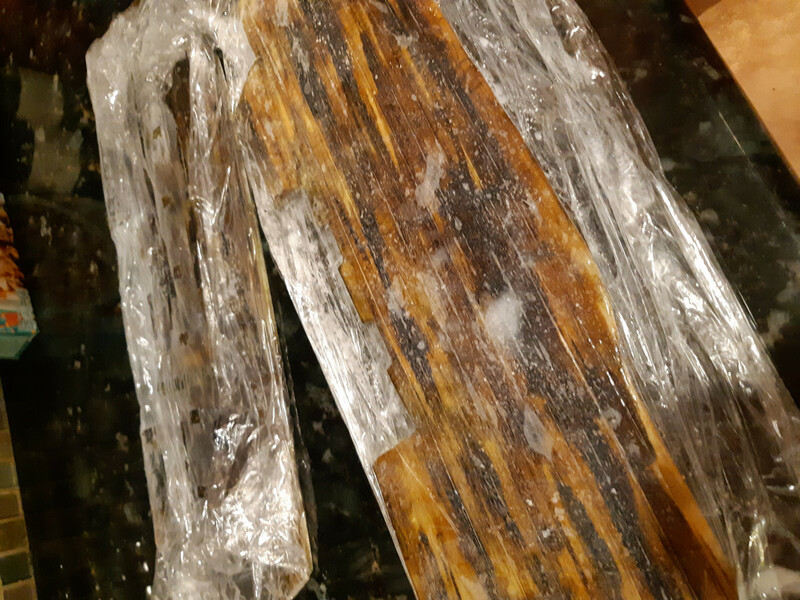 I should have maybe put them on a little less defrosted though, because I learned that they actually crack less if they are more frozen, if you're careful (from trial and error...I did the back of the ship first and got a lot of cracks because the side was completely defrosted). *I made a treasure chest and it was so fun! I loved how it turned out. 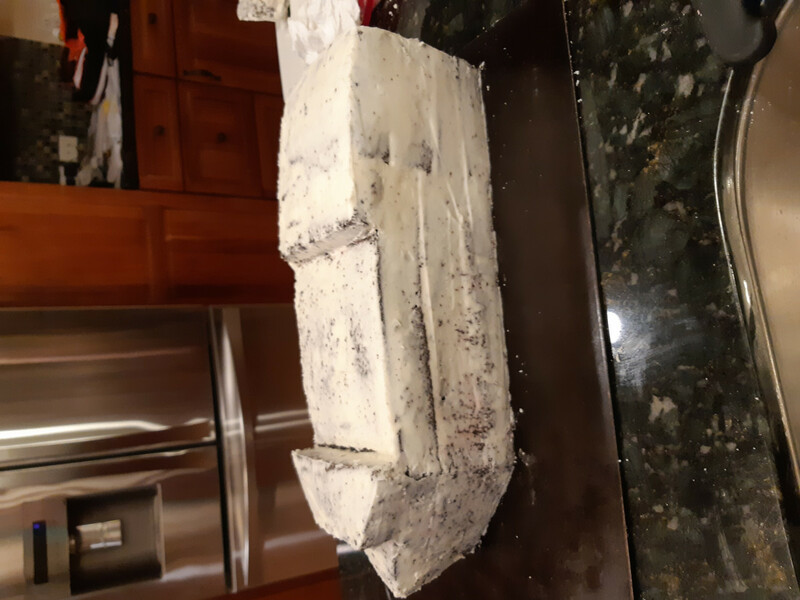 *I sculpted and crumb-coated the ship the day before the party, and stored it in the fridge overnight. Usually I do everything on the day, but this was a good idea that saved me time. *I took the advice of someone and used lemon extract to mix with the gold dust to create a gold paint. While it looked really shiny which was what I wanted, and it accidentally gave the sides of my ship an awesome texture which I think looks amazing (like wood sap....all it was was the lemon extract dried up and glugged up the gold dust, but I used it anyway, and it made the wood look like wood knots/sap), my kids HATED the lemon taste it gave to the fondant that I'd painted! Never again...back to Vodka. *I hadn't planned on how much ingredients I'd need. I ended up making 4 cakes, 2 batches of fondant, and 2 batches of buttercream. I also hadn't imagined that my ship would be longer than an average cake pan! So when I stacked the cakes, I had to add an additional stack of pieces to one end to get the length of the pirate ship! It was a mess. *I used my never-fail chocolate cake recipe, and it failed :) Although I've used it many, many times for cakes that stack upwards in circles, it just didn't cut it for this shape of cake. 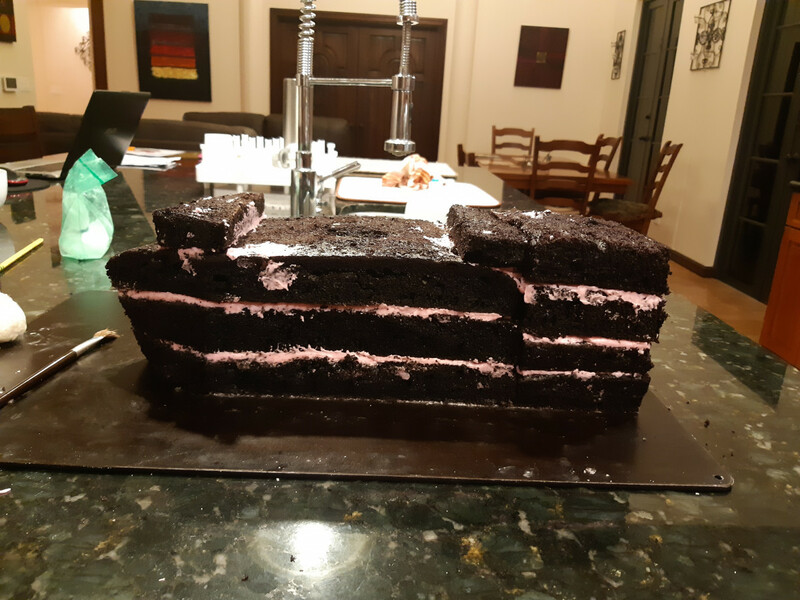 I didn't use any support system because it was not a super high cake, and I kept my fillings between layers not too thick and the buttercream was firm. The crumb-coated ship seemed to sag at each end unfortunately. Although I love my recipe, I really need a different one I think for a shaped cake. My recipe is 1 3/4c flour, 2c sugar, 2t baking soda, 1t baking powder, 3/4c cocoa, 1c black coffee, 1c buttermilk, 1/2c salad oil, 2 eggs, 1t vanilla extract. I anyone has a recommendation for a better recipe to withstand sculpting, I would appreciate it! @Anneliese671- beautiful job! 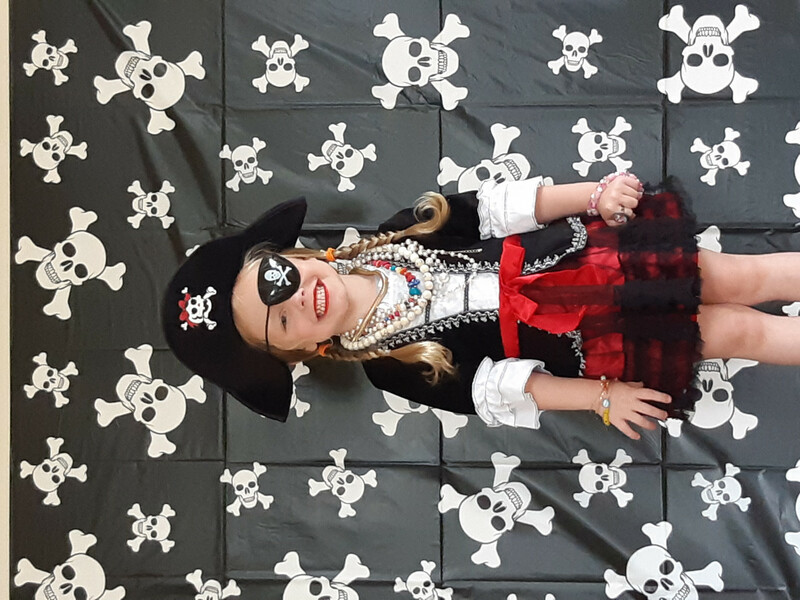 I’ve made a pirate ship before and it ain’t easy! Yours is clean, artistic and well executed! I usually bake my chocolate cake from scratch, but when carving I use Kakeladi’s Original WASC cake, chocolate version. @thecanadian160 - love your flowers and watercolor :). I feel ya on the drip..luckily my customer this week wanted it dyed pink! 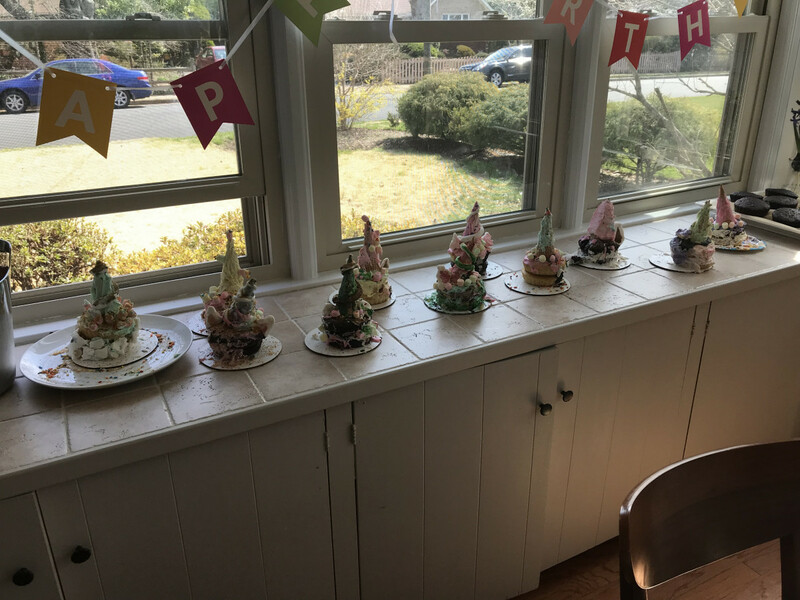 interesting challenge this week for me..customer was having a “Nailed It” birthday party for 7-year-olds. Apparently that’s a show where baking novices try to recreate a professional cake and not have it look like a bumbling disaster :). 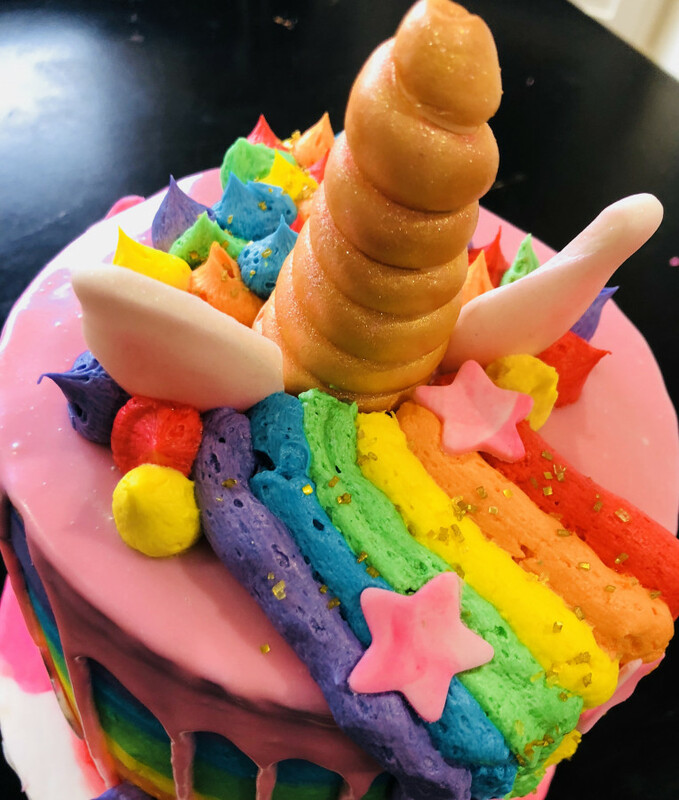 So I was tasked with creating a cake with 3-4 different design elements that were easy enough for a kid to try while still being a challenge...and also incorporating rainbows. 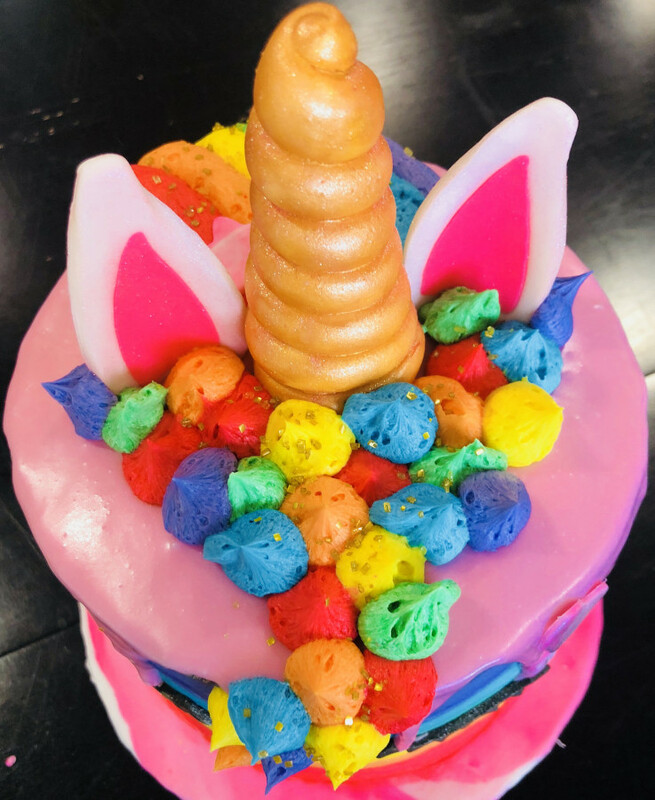 So...simple buttercream mane (they have no piping tips), ombré frosting, and bit of fondant work (also brought ice cream cones for horns instead) and ganache drip. Apparantly, they had a blast! 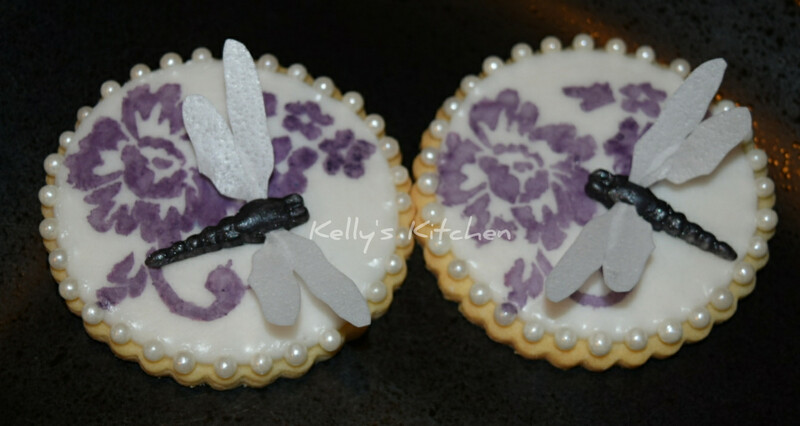 @Kstevens your cookies look so sweet! 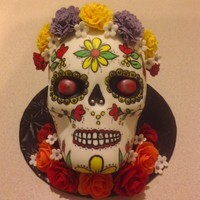 @thecanadian160 beautiful cake. Even though the drip is not pure white, the color looks perfect with the purple shades of your flowers and your drip. Love the font on the word Mom. What did you use? @Laetia...are you reading for this? 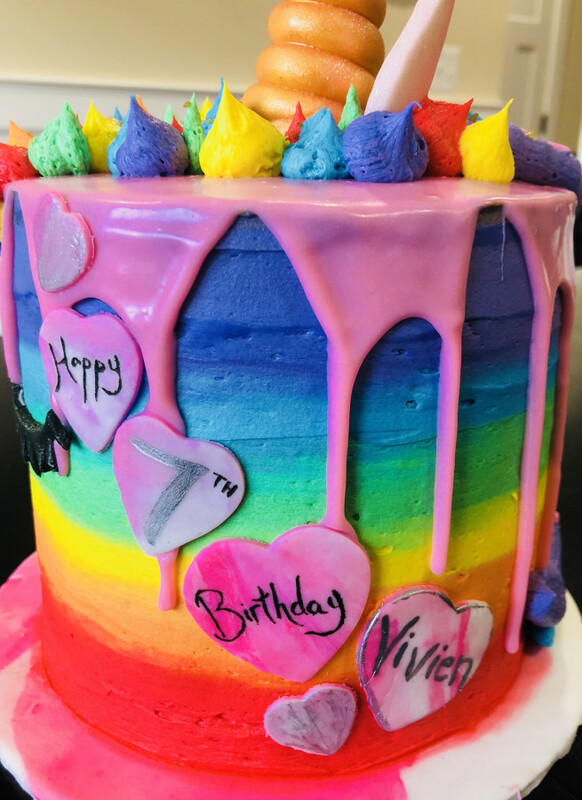 Kids age 5-7 tried to recreate my cake...and it’s adorable. And hilarious. Omg, this is too funny! Those kids had a great time for sure.